and more. Even if you are a solo professional, business is a team effort. But it is easy to let your follow up activity slip down the to-do list. Unless you are careful, more urgent tasks or more entertaining distractions can botch the best intentions. 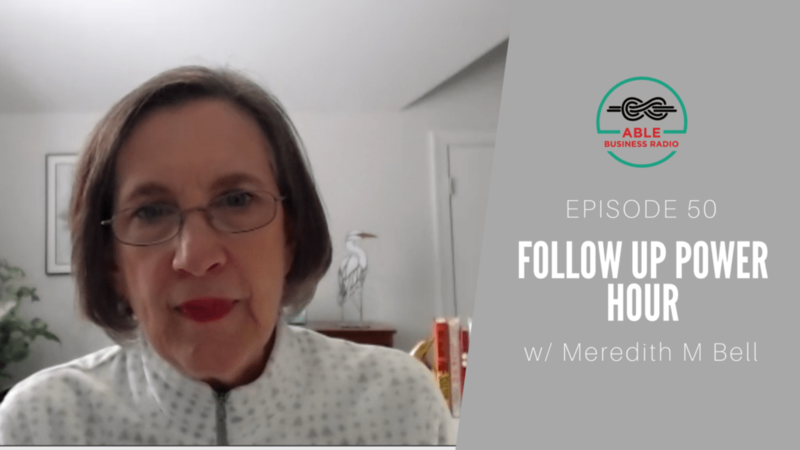 Fortunately, seasoned entrepreneur Meredeth Bell came on the podcast to share her strategy for making the important but not urgent follow-up process a little bit easier. Why prioritizing your follow-up will pay off in the long run. How to make following up a fun game (vs a dreaded chore). What types of follow-up you need to do to grow your business.